Entries to be in place in the Scout Hall on Wednesday, August 29th by 9:00 pm. Entry Forms to be in the hands of the Secretary by Saturday, August 25th. Judging: Thursday, Aug 30th – 8:30 am. “Beginner” categories are for amateurs. Due to the sheer volume of entries which need to be displayed after judging is finished, this building may not be open to public viewing until after 4:00 pm. Quilts , Bedspreads , Etc. Please refer to Main Rules for all quilt classes. Note: Total perimeter measurement to be a minimum of 324” or 823cm unless otherwise stated. Article can be square, rectangular, etc. as long as it meets perimeter requirements. Quilts, larger than 40″x50” (100×125 cm) and less than 72″x90” (180×225 cm). Quilts must be a minimum of 72″x90” (180×225 cm) unless otherwise stated. Quilts, minimum of 72″x90” (180×225 cm). Class 63 includes quilts quilted by a professional, and quilts quilted using long arm machine. 1. Entries must be solely made and hand quilted by the exhibitor and exhibited at the Harrow Fair to be eligible for this competition. 2. Entry quilts must be a minimum of 324” measured on the perimeter. 3. The winner’s name and pattern to be displayed at the Fair. 4. Judging will occur at the Harrow Fair. 5. 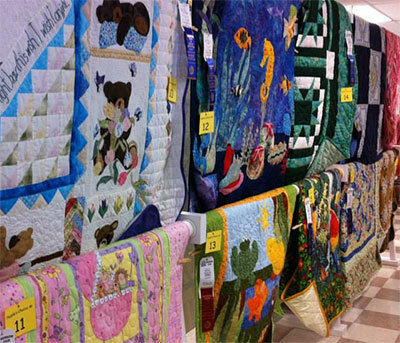 Upon making an entry into the Harrow Fair Quilt Competition, the exhibitor agrees to participate in any promotional activities related to the competition. The Grand Champion and the Reserve Grand Champion are judged from all first and second prize eligible quilts. (Complete rules and regulations available at office).